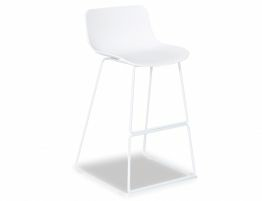 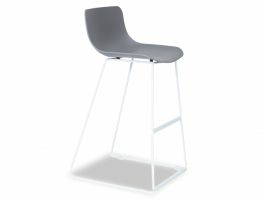 The Umbria Kitchen Bar Stool is modern design at it's finest! With its curved architectural formation of a seat, the polypropylene seat in black is of the most curvaceous and harmonious modern design styles. 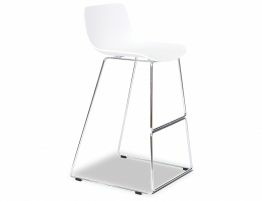 The slim lined chrome base with foot rest is restrained to the most minimal effect. 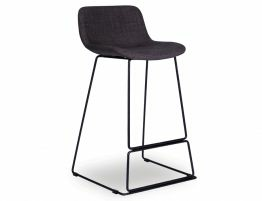 The simplicity of this bar stool is civil in its element without creating too much attention and cordially blends with the most modern of interiors. 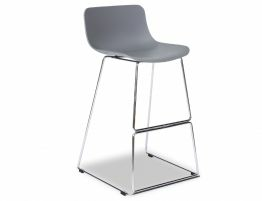 Be it at home or your fancy cafe/ restaurant, this refined Umbria Kitchen Bar Stool seating option will no doubt elate any zone and improve your interior.